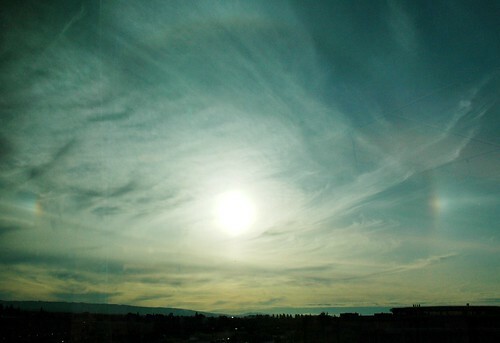 This entry was posted in Halo and tagged from, halo, Sundogs, window. Bookmark the permalink. Yes – it was quite an awesome scene – as usual – looking better to the naked eye than can be captured in a hurry with a camera. I wish I sat on the other side of my building at work as that’s the side where the sun comes down and I bet there is a lot of this going on that I don’t catch.